Data transmission between different devices is done using USB cables. The interface type and transmission speed are two key factors in determining which USB cable meets your needs, and here at Fuxin, we offer the following two USB charge cable types for customers to choose from. 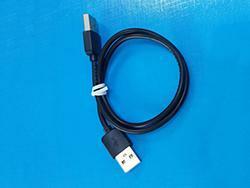 USB Type-C Cable USB 2.0 standard, positive and negative pluggable for Type C interface. Nickel plated copper core, metal or PVC plug case, braided or jean cable. 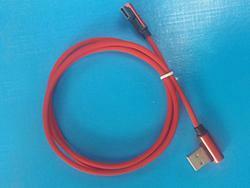 USB 2.0 Cable USB 2.0 standard. Nickel plated copper core, metal or PVC plug case, braided or jean cable. Shown above are two types of USB cables for the data transmission of desktop devices and mobile devices. A USB2.0 patch cable is applied in common equipment, and USB Type-C cable has high data transmission speed for newly developed desktop and mobile devices. If you have specific requirements for the cable port, length and color, let us know your specifications and we can customize the USB cables for your data communication applications.